Meet Lennon -- "General Appearance - Large, powerful, alert, with much substance and heavy bone. The broad head, forming a blunt triangle, with deep muzzle, small eyes and erect ears carried forward in line with back of neck, is characteristic of the breed. The large, curled tail, balancing the broad head, is also characteristic of the breed." -(AKC Breed Standard) This is what we feel best describes our beautiful boy, along with his wonderful and sweet temperament. We are so very proud of Lennon and his littermates. 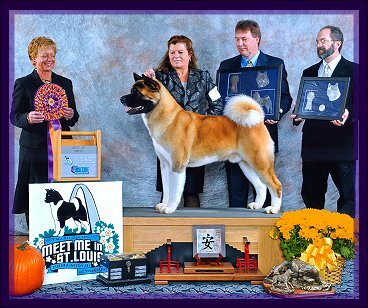 Lennon is a Multiple Working Group Winner, Multiple Group placer, Multiple Best Puppy In Show Winner an All-Breed Best In Show Sweepstakes and is now a National Specialty Winner and Top Twenty Winner. 2011 started out with a very tough year for Lennon and Ingrid. With the loss of Jerry Dec. 23, 2010 my heart was so broken and unfocused I couldn't understand another devastation in my life. But Lennon was acting sick, not eating, loss of weight. Sally and I took him to the vet on Dec. 28, 2010 and they weren't able to find anything really wrong. So I felt he was grieving along side of me. But on Jan. 03, 2011 Sally came to the house on her way to take Linda and Frank Wolf to the airport and we realized something much more was wrong. Sally rushed him to our vet and where upon they felt a mass in his abdomen. We made the decision to rush him into surgery. With phone calls from our vet telling us that Lennon had Intussusception and would probably not make the surgery. But Sally told them they had to at least try, we couldn't lose him with the loss of Jerry. So they went ahead, did the surgery and Lennon had the fight to make it! CH. Regalia's American Emblem ROMPX MBIS. MBISS. CH. 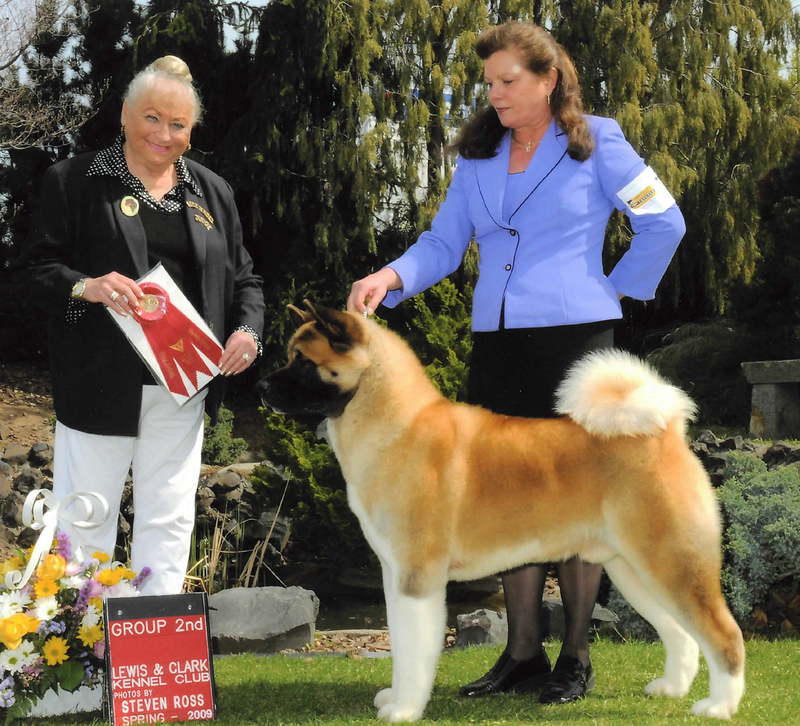 Crown Royal's Merit Of Cashmere ROMPX CH. Crown Royal's See'N Stars ROMPX MBIS. MBISS.